I have reviewed so many tents during the year and it is time to ask myself: what would be the best 4 person tent for car camping for 2019? So here I give really great options to consider. As the title suggests, the list includes the tents that are not lightweight enough to be used as hiking or backpacking tools and carried attached to the backpack. So in principle, these tents need a car or any other means of transportation to get them to the camping spot. This can also include a motorbike, a bicycle, a kayak, etc. But you will realize that some of them are quite lightweight. In some cases instant setup. Regarding the type, you have the following tents in the group: instant tents, cabin-type tents, A-frame type tent, you have tunnel type and dome tents. Regarding the price, the differences are drastic. You have the tents in the range $50 – $450. Regarding the weather resistance, some of the tents are typical summer-type tools, while others are built to protect you from everything that Mother Nature can throw on you in a 3-season use. Here, you are supposed to do some compromises. For example, very tall walls, huge windows, and a minimal fly do not go hand in hand with an excellent protection. So you might ask why such a variety. 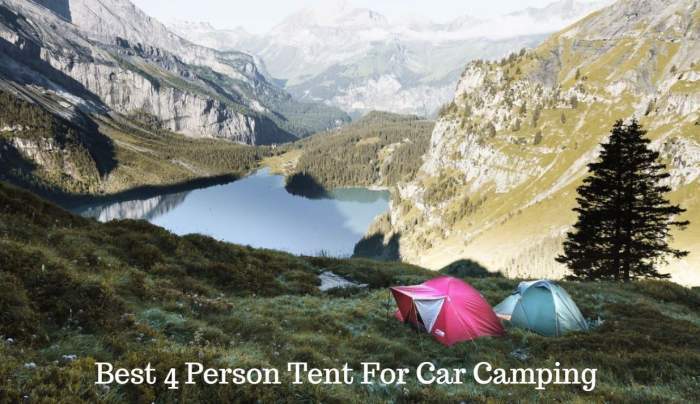 This is on purpose, the list includes very different tents regarding the type and price, for everybody’s taste and pocket, and for various purposes. ALPS Mountaineering Camp Creek 4 Tent. This Camp Creek 4 is a beautifully designed cabin style tent with windows on all sides. The structure is fully freestanding due to its partial coverage fly which attaches to the four corners with buckles. So even after you set the tent up, you can still move it around and rotate. But be ready for its weight, it is here in the list with good reasons; the weight is 20 lb (9.07 kg), so this is a car camping tool. The area is not so impressive, you have 63.5 ft² (5.9 m²). So for the declared capacity of 4 people this is far too small if this is about real camping. This is why you should downgrade the number of users here; it is perfect for couples or for parents with one child. The waterproof rating is decent, you have 1500 mm for both the fly and the floor, and the fabric is a really durable polyester. Please read more in my full review. 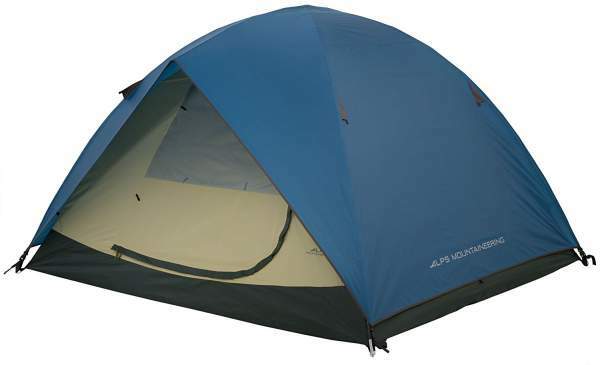 ALPS Mountaineering Meramac 4 ZF Tent. This Meramac series has been around for many years already, but recently they have launched an upgraded version. So the floor is now incredibly durable 210D nylon, and they have added also strong #10 zippers. The tent is a dome style as you realize from the picture, with two doors and with a partial coverage fly. Due to such a design, you can keep the mesh only on the upper sections of the doors and you effectively have two windows. But there are panels which you can use for protection if necessary. The waterproof rating is quite appropriate, 1500 mm for both the fly and the floor. Note that the poles are fiberglass. The official capacity is 4 people, but you have only 64 ft² (5.9 m²) and this means 16 ft² (1.5 m²) per person. Since the tent is without vestibules, it is best to downgrade it to two people only if used for an ordinary camping. Please read more in my full review. Big Agnes Tensleep Station Tent – the most versatile of all. This is without a doubt one of the best 4-person camping tents on the market, so quite conveniently it appears here on the position one, though this is the alphabetic order as I mentioned above. This is one of the tents with the biggest floor area in this group, second only to the Mountainsmith Bear Creek 4 Person Tent (the number 8 below). If you need a complete weather protection, this is the tent for you. But observe that this is currently the most expensive tent in the group. 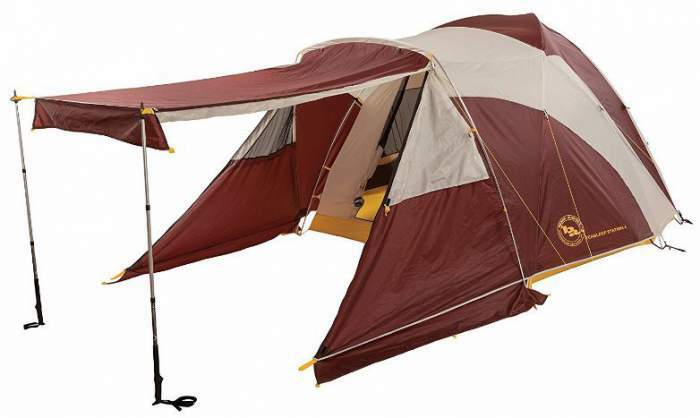 This tent offers a great variety of configurations. You have 2 doors and 2 vestibules. Lots of storage areas under the vestibules and in pockets. Ground flaps on the vestibule to keep out rain (and snow). Packed weight: 14 lb 11 oz (6.66 kg). Floor area: 65 sq ft (6.0 sq m). Floor dimensions: 100 x 96/82 in (254 x 244/208 cm). So you realize, you have different front and rear size. Peak height: 68 in (173 cm). Packed size: 27 x 15 x 5 in (68 x 38 x 12 cm). – front vestibule area: 31 sq ft (2.9 sq m). – rear vestibule: 8 sq ft (0.7 sq m). Browning Camping Hawthorne 4 Person Tent. 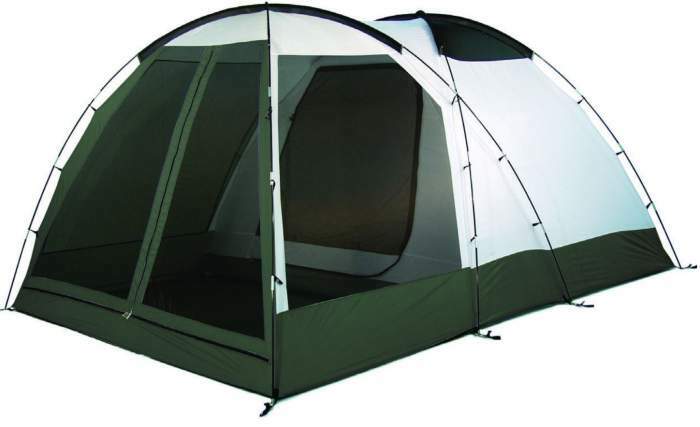 This Hawthorne 4 tent is a good choice if you plan to change the place frequently. This is because of a very easy setup and a simple design and this is the reason for having it here in the list, not his size really. There are two poles that create a simple dome, plus a brow pole that creates the small awnings above the doors. So you have no storage area here but you can use the car for this. The structure is fully freestanding, the fly attaches to the corners, so you can pitch it anywhere, you di not depend on the terrain. The tent is with two doors and they have mesh windows. You also have mesh sections on the sides and on the top, so ventilation should not be an issue in such a tent. The waterproof rating is 1500 mm for the fly and for the floor. The poles are fiberglass. The area is 8.5 x 7.5 ft (259 x 229 cm) or 63.8 ft² (5.9 m²). It weighs 11 lb 4 oz (5.1 kg) and the packed size is good 24 x 7 inches (61 x 18 cm). Note that this is also a very affordable tent. 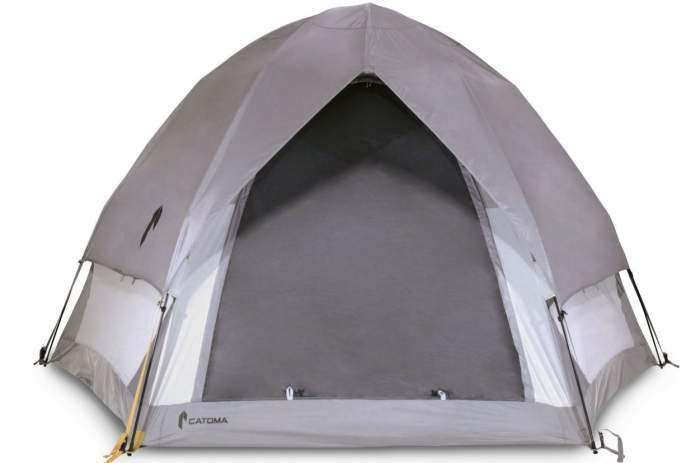 This Catoma 4 person tent offers 78.6 ft² (7.3 m²) of the area in its hexagonal-shaped structure. This is an instant setup tent with the frame preattached to the tent and you can make it ready in under 2 minutes. It packs like an umbrella. It is fully freestanding and even after you put the fly and attach it to the base with buckles, you can still move the tent around and rotate. The stakes are included of course. The tent has one door and one window on the back, both with mesh and panels. It comes with a large gear shed which you attach under the ceiling. The structure is very tall with 76 in (193 cm) peak height. The poles are fiberglass and this is what makes it heavy, it weighs 15 lb 6 oz (7 kg). Chinook Twin Peaks Guide 4-Person Plus Tent shown here without the fly. Here you have a rather unique construction with two domes in a design which the manufacturer calls the Interdome design. The two domes create two rooms, with the first room all in mesh and the inner room much more enclosed. The fly covers them both all the way to the ground. The waterproof rating is 2000 mm so the tent offers full protection from elements. The tent is here in the list because of the comfort which it offers. So you have 100 ft² (9.3 m²) for 4 people which is a real luxury. There are two entry doors and one inner door. The fly has two zippers on the sides so you can roll it out and create a pleasant front screen room. But this all comes with the weight of 22 lb 1 oz (10.3 kg) and this is why the tent is for car camping. However, the packed size is great, 22 x 10.6 x 10.2 inches (56 x 27 x 26 cm) so you can transport it even on a motorbike. Please follow the link for more. 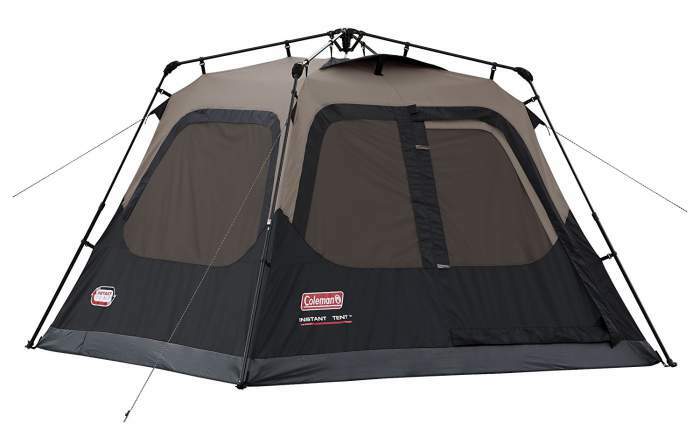 Coleman Carlsbad 4 Person Tent with screen room and dark rest room. The Carlsbad 4 tent is unique among the tents here because of its screen room and the dark rest technology. The screen room is a pleasant part for sitting and cooking as long as the weather is fine. It is floored but it is not fully protected from the rain, so the floor is with openings to let the rainwater get out. The inner tent room is fully protected and here you have the dark test design with dark materials used in the construction. In addition to this, the fly is designed to reflect up to 98% of the sunlight, so the atmosphere in the tent is cooler and far darker than in ordinary tents. This allows you to sleep longer in the morning and to take a nap during the day. You realize this is a 2-room design, quite unusual for such small and dome-type tents. The total area is 99 ft² (9.2 m²; 5.84 + 3.34 m²), and the first number here is for the inner tent area. So this tent provides lots of pleasant space. Please see more in my detailed review. Coleman Instant Tent 4 Person – with an integrated fly. This is a cabin type tent and an instant tent with an express setup under 1 minute, and with an incredible price tag. So it is a unique tent on the list. Note this it is single-layer everywhere except on the windows and the door where you have a mesh plus panel for the rain protection and privacy. If you are not familiar with the terminology, please see here about the cabin tents, and about the instant tents please check here. 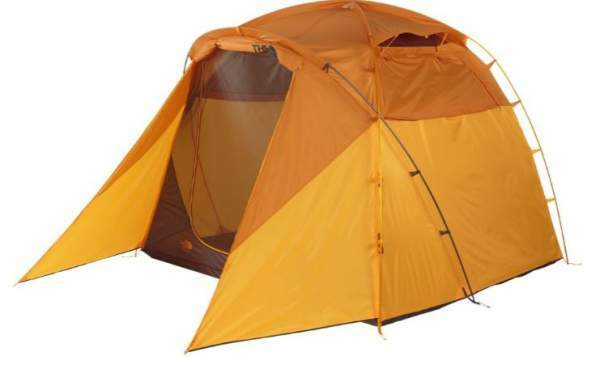 As you realize from the specifications, this is a very tall tent, and with a great weight. This is the only instant tent in the list. This is a cabin-type tent. Single-layer design which means a built-in fly. Weight: 9.8 lb (4.45 kg). Dimensions: 8 x 7 ft (2.44 x 2.13 m). Floor area: 56 sq ft (5.2 m²). 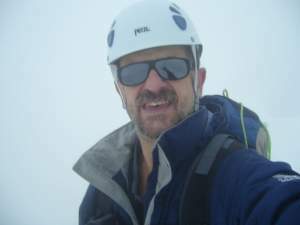 Peak height: 4 ft 11 in (59 in, 1.5 m). Packed size: 38 x 18 x 9.5 in (97 x 46 x 24 cm). Coleman Oak Canyon 4 Tent. Here you have an impressive structure with 3-rooms, and with the sleeping area built in the blackout design so it blocks 99% of the daylight. This allows you to sleep longer and to take a nap during the day. The tent is with 2 large doors and with several PVC windows, the floor is fully sealed and the sleeping area is a tent within the tent with its own floor so you have two layers on the floor in this section. This tent is with an impressive 4500 mm waterproof rating. This together with its steel poles makes it a reliable tent for all conditions in a 3-season use. You have 122 ft² (11.34 m²) total inner area and this means 30.5 ft² (2.84 m²) per person. So imagine that much space in a tent which is with the peak height of 78.7 inches (200 cm) and with so many rooms and solid PVC windows. This is a luxurious camping option. Please read more in my full review. 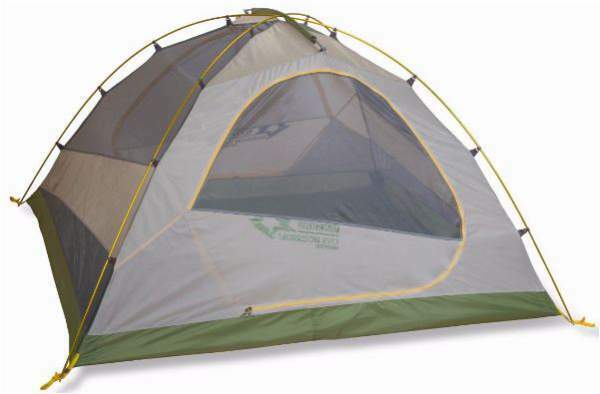 Coleman Sundome 4 Person Tent – the most affordable of all. This is an exceptionally popular and versatile tent, built for summer camping. I would not put it on really hard tests. But it comes with an incredible price tag. So this is a tent for users who do not want to spend much and need a tent for occasional use in very mild summer conditions. Observer that it offers quite a good floor size. Incredibly affordable – only $49. Ventilation opening near the floor. Weight: 9.7 lb (4.4 kg). Dimensions (L x W x H): 9 x 7 ft (108 x 84 in; 274 x 213 cm). Floor area: 63 sq ft (5.84 m²). Peak height: 59 in (150 cm). Packed size (L x D): 23.8 x 4.5 in (60.5 x 16.5 cm). Eureka Assault Outfitter 4 Person Tent. The total area which this tent offers in its inner tent and in two vestibules is 93.8 ft² (8.6 m²), and if used by 4 people this would give the total protected area per person of 23.4 ft² (2.15 m²). So this is quite a lot for such a dome-style tent. As you realize from the picture, you have a full coverage fly and its waterproof rating is no less than 3000 mm. Even more is impressive its floor with 5000 mm and 210D value. The tent is with three aluminum poles and they are thick, with 13 mm diameter. 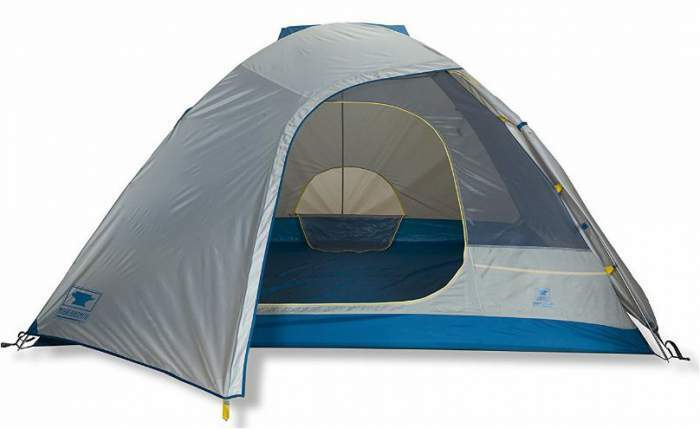 So as you realize, these are excellent features and this tent is built for a full protection. Note also that the inner tent is taffeta and you only have two small mesh sections that have panels to close when needed. Such a design makes it suitable for all-year use. The weight is 14 lb 13 oz (6.7 kg) but the packed size is excellent, 22 x 8 in (56 x 20 cm). Please follow the link for more. Eureka Copper Canyon 4 – a true cabin-type tent. This is a great example of cabin type tents. So you have straight and nearly vertical walls, and the height of the tent is impressive, this is the tallest of all tents presented here. Clearly, this is a typical summer camping tent, so bear this in mind and avoid harsh conditions with a lot of rain and wind. This is a very tall tent, 84 inches (213 cm). Packed weight: 19 lb 4 oz (19.25 lb, 8.73 kg). Floor size: 8 x 8 ft (96 x 96 in; 244 x 244 cm). Interior peak height: 7 ft (84 in, 213 cm). Packed size: 26 x 7 in (66 x 18 cm). Eureka Desert Canyon 4 Person Tent. 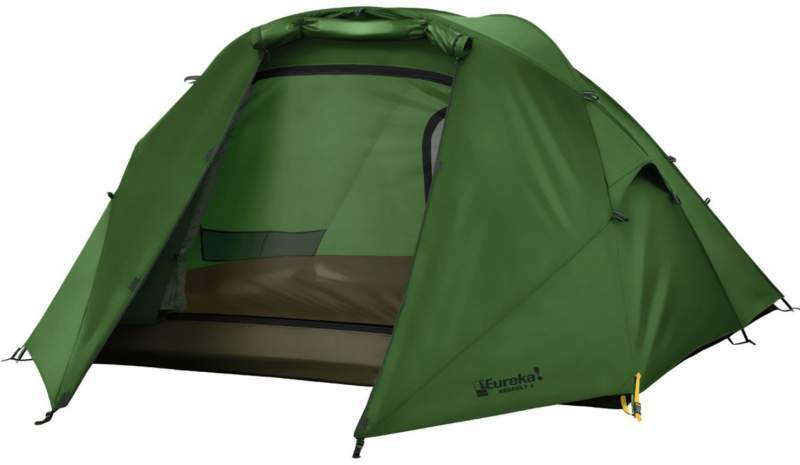 This is a brand new model from Eureka which they launched in 2018, the tent in the series which includes also a 6-person tent built in the same style. So as you realize from the picture, this is a cabin-style tent but what you perhaps do not realize is that the tent is exceptionally tall. You have 86 inches (218 cm) at the highest inner spot. The tent offers 64 ft² (6 m²) and the declared capacity is 4 people. There are no external storage elements, so it is best to downgrade it for two people if you plan to use it for a real car camping. The overhanging fly design is a cool feature because it protects the door and the windows, so you can keep the upper part with mesh open even if it is raining. Please read more in my detailed review. Eureka Suite Dream 4 Tent. 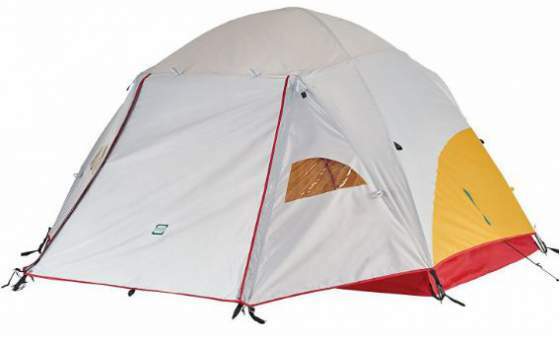 Here you have a new tent on the market, from the series which also includes a 2-person tent. So this 4-person version offers 76.4 ft² (7.1 m²) of the inner area and you still have two vestibules which add around 24 ft² (2.2 m²) of the protected space. The tent has a unique pole construction. This includes two poles that create standard X-shape structure, but you also have a Y-shape pole that raises the front door and make it completely vertical. The structure is very strong due to this because of 4 intersections created by the poles. The fly is full coverage and with 2000 mm waterproof rating, and the floor is the same material but with 2500 mm rating. So this is a reliable tent for a full protection in a 3-season use. Please see more in my full review. Kelty Mirada 4 person tent – unique design. This is a combination tarp-plus-tent. Great price for the value. Packaged weight: 11 lb 9 oz (5.25 kg). Floor area: 58 ft² (5.4 m²). Length: 78 in (198 cm). Width (front): 123 in (312 cm). Width (rear): 91 in (231 cm). Height: 72 in (183 cm). Packed size (L x D): 24 x 10 in (61 x 25 cm). Kelty Outback 4 Tent – simple and functional dome tent. Here you have a simple and very reliable tent with optimum comfort at an affordable price. This tent is a part of the series which includes tents for 2, 4, and 6 people. The full-coverage fly will protect you in any 3-season conditions, the dome shape is the best type if you plan to camp in a windy environment. All in all, a simple and reliable tool in combination with a very reasonable price. No bells and whistles – functional and reliable Kelty product. Very good packed size, good to know if you are on a motorbike cross-country tour. Packaged weight: 10 lb 13 oz (4.9 kg). – Length: 96 in (244 cm). – Width: 85 in (216 cm). – Height: 59 in (150 cm). Floor area: 57 ft² (5.3 m²). Vestibule area: 15 ft² (1.4 m²). Packed size (L x D): 27 x 8 in (67 x 20 cm). Kelty Sequoia 4 Person Camping Tent. What you see here is a tent from Kelty’s brand new Sequoia series which includes this 4-person tent and also Sequoia 6-person tent. 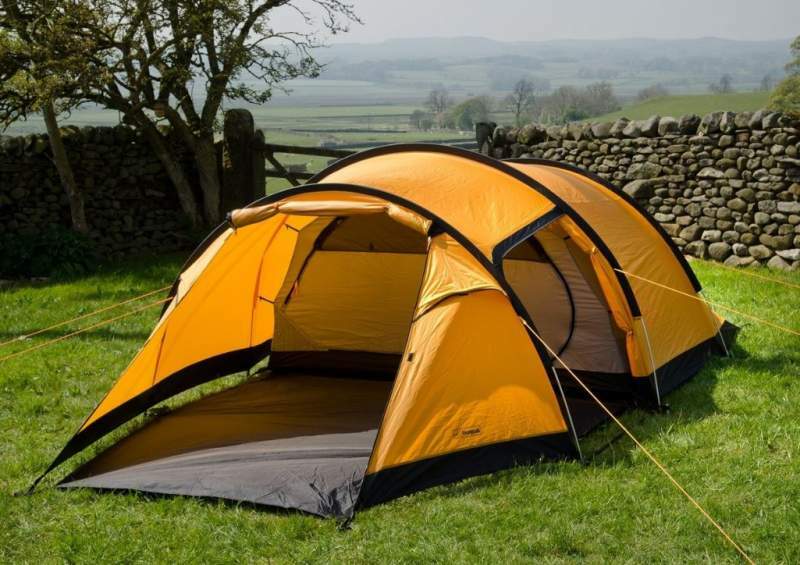 So this is a tall tent which offers plenty of headroom and the peak height is 78 inches (198 cm). You have a full-coverage fly and this tent will protect you regardless of the weather conditions in a 3-season use. You have 60 ft² (5.6 m²) of the inner floor area, plus the vestibule area of 35 ft² (3.3 m²). The tent is with a great packed size, freestanding, and the waterproof rating for the floor and fly is 1800 mm. Please read more in my detailed review. Marmot Halo 4 Tent – version 2018. 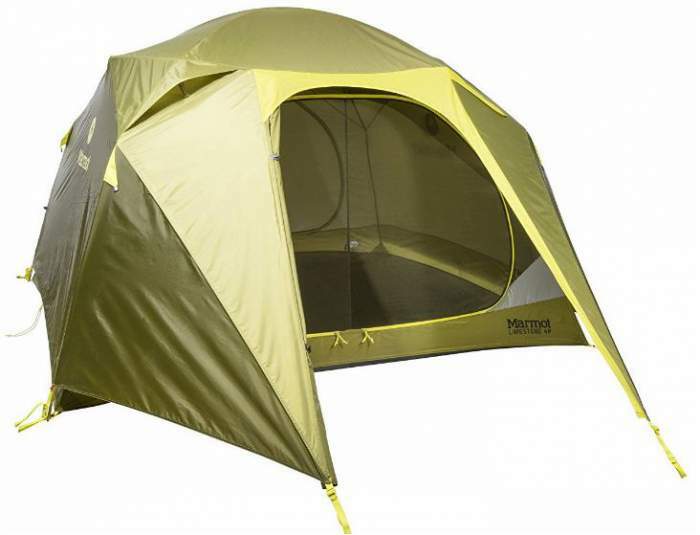 Halo 4 is a famous tent from the Marmot brand. It has been on the market probably from 2011 or so, but this year they have modified it and launched the new version which you see here. So the reason for adding the Halo 4 here is that it is a versatile option, suitable for family car camping or car camping in general, but also light enough to be carried on some shorter hiking and mountaineering tours. They have improved this tent and now you have 2 gigantic doors and also two large vestibules. So although the inner area is “only” 64 ft² (6 m²), you have two vestibules which add 51 ft² (4.75 m²) of the protected area. So the total protected area is 115 ft² (10.75 m²) and this is quite good for 3 – 4 people. Please read more in my detailed review. Marmot Limestone 4P Tent – very advanced tent for professionals. This is the new 2017 version of the very popular tent with 2 doors and 2 vestibules and with a full-coverage fly. It is now better than ever. I would dare to claim that this is the most reliable of all tents here regarding the weather protection. But this comes at a price, this is the second most expensive here, only behind the Big Agnes Tensleep Station tent (the number 1 above). Very reliable and top quality tent. Max weight: 11 lb 11 oz (5.33 kg). Dimensions (L x W x H): 100 x 86 x 63 in (254 x 218 x 160 cm). Floor area: 59.7 ft² (5.6 m²). Vestibule area: 20 ft² + 8 ft² (1.86 + 0.74 m²). Packed size: 27.5 x 10 in (70 x 26 cm). Mountainsmith Bear Creek 4 Person Tent – unique features. This is a really exceptional tent here. It is the lightest of all, and it is also with the largest floor area. On top of this, it comes with an incredible price, only around $134 at the moment of writing this text. So it is surely no surprise that this tent is on the list. Observe also that it comes with the footprint included. But this is not all, it has one unique feature, the rear storage area which you can see in the picture above. But the downside of this is the single door of course. Allows for the fast fly variant. Rear panel closet door and storage vestibule. Packaged weight: 8 lb 9 oz (3.89 kg) – the lightest in the group. Dimensions (L x W x H): 92 x 112 x 56 in (234 x 284 142 cm). Packed size: 19 x 8 in (48 x 20 cm). Floor area: 70 ft² (6.50 m²). Vestibule area: 12 ft² (1.11 m²). 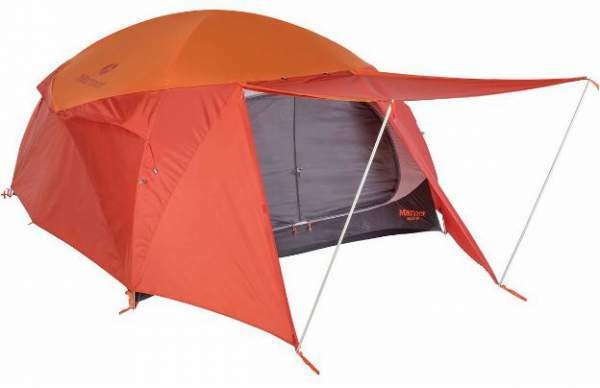 Mountainsmith Morrison EVO 4 Tent – with footprint included. 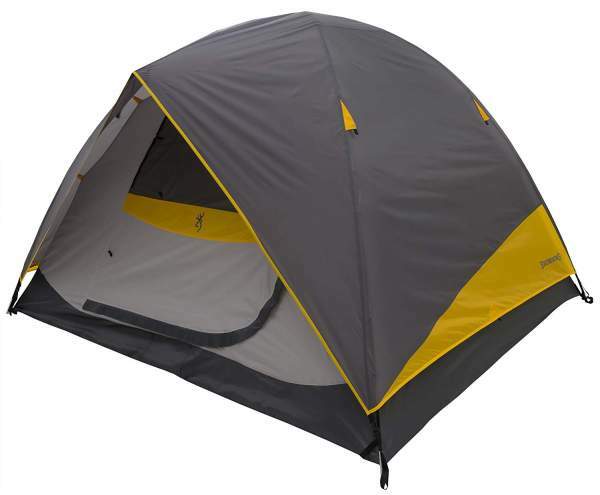 This tent is also from a new 2017 series, with a great price tag of $187 only, and this includes a footprint and gear loft. The tent is with 2 doors and 2 vestibules, so you have plenty of the storage area outside. The fly is full-coverage and the tent is dome type, and rather low; this is good for winds but it makes it a less livable tent. Very lightweight, light enough even for hiking. Detachable ceiling loft pocket included. Packaged weight: 8 lb 6 oz (3.8 kg). Dimensions (L x W x H): 95 x 84 x 51 in (241 x 213 x 130 cm). Packed size: 20 x 9 in (51 x 23 cm). Floor area: 56 ft² (5.2 m²). Vestibule area: 22 ft² (2.04 m²). Peak height: 51 in (114.3 cm). 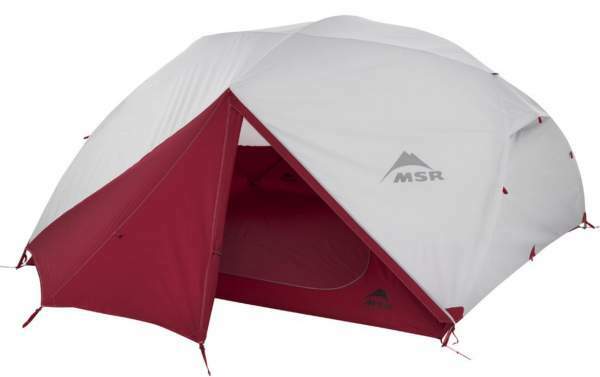 MSR Elixir 4-Person Lightweight Backpacking Tent. The manufacturer (MSR) of this tent uses the word ‘backpacking’ in its name and this is why I am using it here, but this tent is a bit too heavy for the trail, it weighs 9 lb 6 oz (4.26 kg). So indeed, if you need something for backpacking, better check some of these 4-person backpacking tents. I see this Elixir 4 tent better suited as a camping tent in all situations where you would not carry it in the backpack. But the true reason for having it in the list here is just that I trust this brand, so I am convinced this is a very reliable tent that will protect you in any weather conditions in a 3-season use. In any case, this is the improved 2018 version of the tent that has been around for a number of years already. The area is 54 ft² (5 m²) and there are also two vestibules which add some protected space for the gear, in total 24.5 ft² (2.3 m²). The poles are quality aluminum 7000 series, you have two doors and two vestibules, and the waterproof rating is 3000 mm for the floor and 1500 mm for the fly. This is totally enough for all normal conditions. Please follow the link to read more. 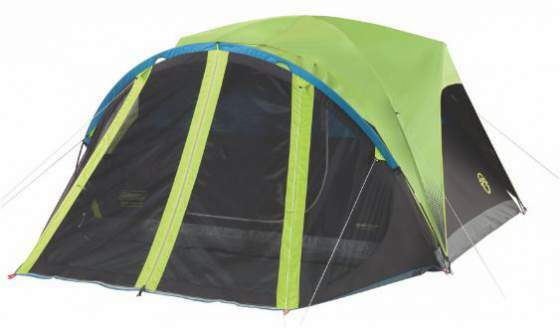 This Journey Quad is the largest tent of a new series which Snugpak brand launched recently. This is s tunnel-type tent with a fly-first design. Thus practically means that the poles are outside and the inner tent attaches under the fly which is raised first. With such a design, the inner tent remains dry if you have to set up the tent in the rain. This is a tent with a huge vestibule/porch and two entry doors which you see in the picture. It also comes with a bonus footprint which covers the vestibule’s floor, so this adds value and functionality here. You have quality materials used in its construction, the waterproof rating is 4000 mm for the fly and 5000 mm for the floor. The poles are aluminum. The tent offers 100 ft² (9.3 m²) of the total covered area in the inner tent and the porch. The North Face Wawona 4 Tent. This is a rather tall tent for such a type, with a peak height of 173 cm. The inner area is quite modest, only 58.13 ft² (5.4 m²), but there are two asymmetric vestibules which add 27.6 + 14.9 ft² (2.6 + 1.4 m²). So the total protected area is 100.6 ft² (9.4 m²), and this makes 25.15 ft² (2.35 m²) per person. The tent is a single layer type in its biggest part, so the poles are outside as you see from the picture. There are two doors and 2 windows, and you have 2 vents on the roof. Please read more in my full review. The Vango Beta 450XL is a tent that has been on the market from 2010, so this a very reliable tent that has stood the test of the time. You have a typical tunnel-shape non-freestanding structure with two rooms, and those include the inner sleeping area which is a tent within the tent with the dark rest-design, plus a large living area. The total protected space is 123 ft² (11.45 m²) and this is lots of room for 4 people. The waterproof rating is impressive 3000 mm so you have a full protection from elements. 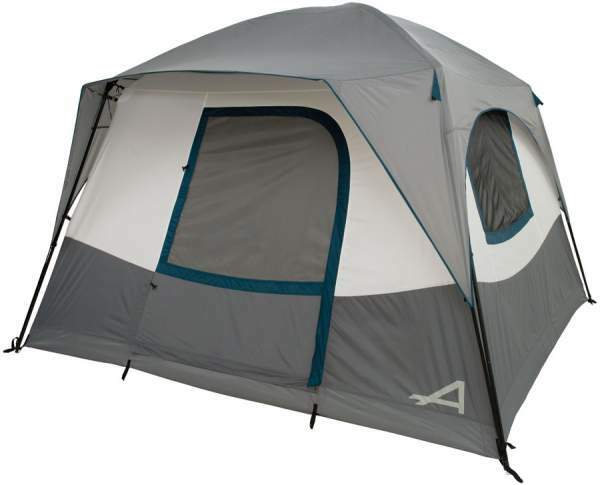 The tent is equipped with two solid PVC windows and two entry doors. Please read more in my full review. This incredible tent offers far more space than any other in the list, it may sound incredible but you have 143 ft² (13.25 m²) of the floor area here, and it is organized in 3 separate rooms. As you realize from the picture, you also have a large porch area which you can use for sitting and cooking. This tent is also exceptional because of its air beam technology. So only the front porch pole is classic, all others are inflatable air beams. But this is not all. The sleeping area is a tent within the external tent shell. The material of the inner tent is of a darker color and this is why this tent also belongs to the group of dark rest tents. This is a new trend in the tent building technology. The waterproof rating of this tent is also very impressive; you have 4000 mm for the shell and 10000 mm for the floor. Please read more in my full review. So this was my list of the best 4 person tents for car camping for 2018, and now the question is how to choose. They are all different, so the choice should not be difficult, it will depend on what you need. If you want something spectacularly easy to use, look no further and take the Coleman Instant tent. You do not want to spend much? Then take the Coleman Sundome, you will not find anything comparable to it. Want luxurious tents with big windows? The choice is easy, either the Coleman Instant tent (the number 2) or the Eureka Copper Canyon. Want something incredibly versatile? Then this is the number 1 above, the Big Agnes Tensleep Station Tent. Want something that can withstand everything in a 3-season use? There are several great options, basically all tents with the full coverage rain fly will do the job. Want a 2-room tent, with a screen room? 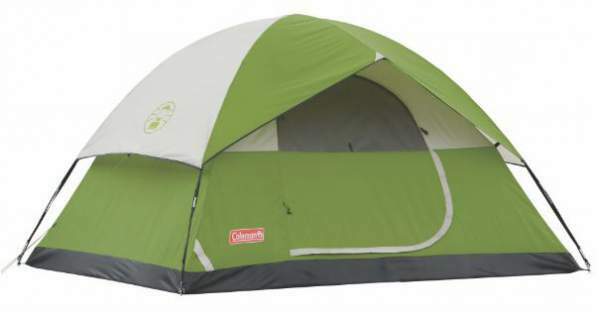 Then check the Coleman Carlsbad 4 tent. Want a 3-room tent? 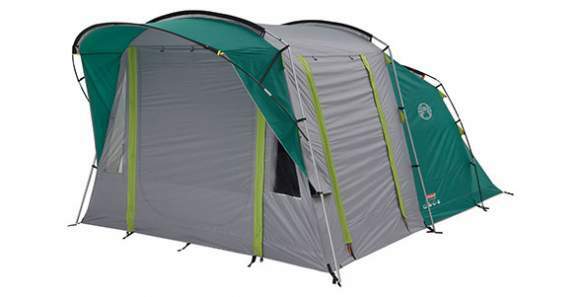 No problem, check for example the Vango Capri 400XL Tent but also the Vango Beta 450XL. If you need a much bigger tent for family car camping, please check here, you will find the best large tents available on the market. But if you need a 3-person camping tent, check this list. For camping tents for two people, please check this list. Alex Honnold the Only Free Solo Climber in the World. Really?